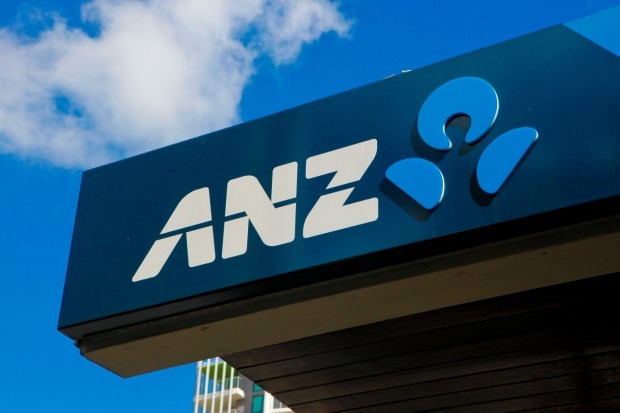 ANZ Banking Group is the biggest name in a group of local financial services players to sign on with a new, specialist Slack-like communications technology, built by a US-based fintech that is backed by a consortium of 14 of the world’s largest investment banks and money managers. Challenger and Perpetual have also started using Symphony, which has about 330 global customers, mostly in financial services, and 360,000 global users. The four-year-old start-up is in discussions with Macquarie and the other three big Australian banks to use the software in their capital markets teams, where staff deal with high-volume information flows. The emergence of Symphony, which raised $US300 million in a Series D funding round in April valuing it at $US1.1 billion, shows how financial services giants are looking for stronger encryption to protect sensitive data and technology that can proactively monitor staff communications to meet the tougher regulatory environment. Symphony’s product would be familiar to users of collaboration software such as Slack, and enables messaging and file sharing, however it has unique encryption and also allows secure and recordable conversations between teams from different organisations – making it appealing to executives working on deals. ANZ’s adoption of Symphony comes after it struck a deal with Atlassian to use its core products Jira and Confluence last week. It also shows how bulge bracket investment banks are considering shifting workflow and conversation tools away from Bloomberg and Thomson Reuters and comes alongside big strategic shifts in the chat software market more broadly, with Atlassian recently announcing the sale of its HipChat product to Slack Technologies and Microsoft aggressively moving into the team chat space with Teams. Symphony CEO David Gurle was in Australia last week, and told The Australian Financial Review global banks were looking for a “secure highway system”, and that it was getting major traction, with the software priced at $20 per user, per month. He said the ability for internal compliance teams to monitor conversations, had appealed to the financial services sector in particular, and had encouraged the global investment banks to fund Symphony. Another investor is Google. Symphony runs in Google’s cloud and the tech giant is interested in its encryption technology. The system’s encryption keys are held by each user, not by Symphony, and it is for each bank to decide to whom they give access. The banks are also interested in the “regtech” aspects of the technology, which is using artificial intelligence to monitor conversations, in words or speech, and can proactively flag ones that need to be followed up by compliance teams. The financial service players backing Symphony are Bank of America Merrill Lynch, BNY Mellon, BlackRock, Citadel, Citi, Credit Suisse, Deutsche Bank, Goldman Sachs, Jefferies, JPMorgan, Maverick, Morgan Stanley, Nomura and Wells Fargo. Mr Gurle said these are “both economic investors looking for a return, as well as customers”. “Having them on board has helped reduce the product risk, as we have had access to our top customers’ actual requirements, so it has provided insight as to what to build and also to reduce adoption risk,” he said. Many users have started to develop bots to run on top of the software and perform tasks, for example, interrogating their trading systems and presenting reports. ANZ’s adoption of Symphony, which is being used by a small number of capital markets bankers to reconcile some workflows, comes after it last week struck a deal with Atlassian to use its core products Jira and Confluence across the retail bank to help manage ANZ’s “agile” transformation. That move illustrated how banks are seeking to use workflow software more broadly than just in their IT departments, in order to manage more staff working in flexible teams. Mr Gurle said he wanted to use the financial services sector as a “springboard” for Symphony to expand into other areas of the global economy where data confidentiality is critical. This could include medical fields, or government. In June, he met with French President Emmanuel Macron to discuss potential applications for the French government. Mr Gurle said it is best to think of Symphony as a “collaboration platform for regulated markets rather than a messaging solution for financial services”. Previous articleWhat’s with people in Netflix original movies wearing shoes IN BED?